How to create your own exercises? If you are in a hurry, you can skip here directly to the exercise instructions or download it here. I have always found it incredibly important to develop the independent thinking of all the students I’m working with. An independent thinking musician is a musician who is able to assess his/her needs and difficulties on their own and immediately create exercises in order to solve them. There are hundreds of methods and exercises books available in the market today. Some of course are very useful and I use them myself and with my students. They are normally very helpful in order to develop certain skills and your technique (fingers, lips flexibility, air control etc), but they are rather general. If you wish to advance quicker and in a more efficient way, you have to master the art of creating your own exercises. Every day you practice you encounter with new challenges and difficulties through the pieces you are playing. These are exactly the difficulties that the exercises you create should address and solve. When you are sick, you visit the doctor. The doctor then asks for your symptoms and tries to figure out what could be the reason for your illness. He would decide on the proper treatment according to whatever causes your illness. The ‘illness’ – what causes your symptoms? Let’s assume that you are not satisfied with the way you sound. Your tone is not equal through the registers and you don´t always manage to hit all the notes, especially the higher ones. 🔬 The ‘illness’ – what causes your symptoms? The moment you understood WHAT is difficult about that passage, you should find out WHY is it difficult for you and WHAT CAUSES you to sound the way you do right now. The symptoms can sometimes have few ‘illnesses’ associated with it and you have to be able to narrow them down in order to identify your ‘illness’. Question: In our William Tell example, you lose your tone focus through the passage, especially on the high notes. Could you think of some reasons why it could have happened to you? Your tongue movements change your lips aperture (the hole you create with your lips) and therefore you lose your tone focus. You don’t use the right air speed between the registers and certain notes don’t sound as well as others. You play with a too closed/open embouchure hole of the headjoint and the air stream can´t hit the wall in the right place. Sometimes the reasons are clear and obvious and you can identify them yourself easily, but sometimes you need an advice of a professional and experienced teacher, who can identify the reasons and offer solutions you might not be able yet to uncover by yourself. The moment you can identify the cause (alone or with help), you can create an exercise that will help you overcome the difficulty and train whatever is needed to be trained in order to play it better. Play Better in Just Few Days! 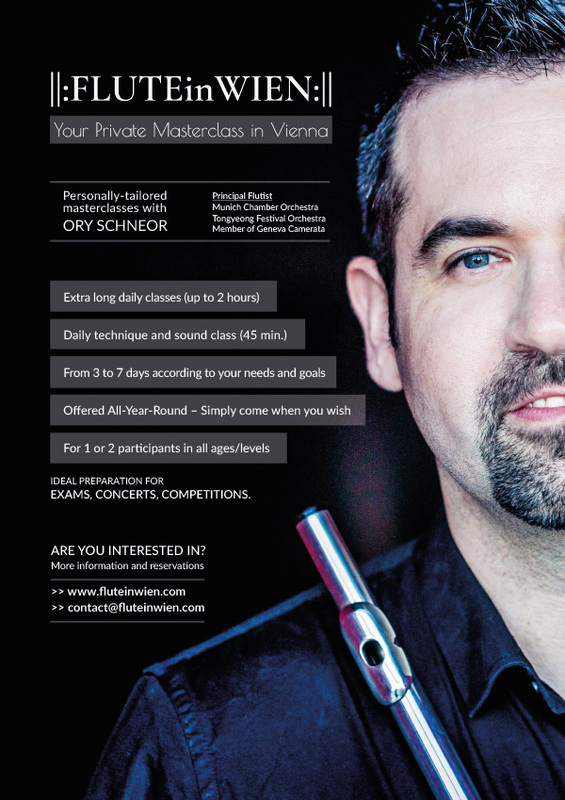 Participate in an intensive private masterclass, with up to 3 hours of playing every day! I strongly recommend that an exercise will address not more than one or two difficulties maximum. A good exercise is an exercise that will address a very specific issue you are dealing with and reduce any other elements that might interfere or complicate the process you are practicing. In our example, I believe the problem is a combination of not increasing the air speed for the higher notes, and not adapting the lips positions between the registers. As a result, the tone lacks of focus, the higher notes don´t sound as good and it´s difficult to hit the notes well. 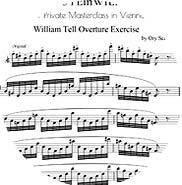 Therefore, I would like to create an exercise that will address the air speed use and the movements of the lips, and use the same text as the William Tell excerpt. I´ll eliminate the element of the staccato/tonguing by playing the exercise in legato, as the tonguing might interfere with the air use and lips position/movements. I will play it lower at first (in order to make it somehow easier), moving chromatically toward the notes of the phrase, and playing it even further up (making it probably even harder than the original). Play the exercise in one breath, all slurred, very well connected. 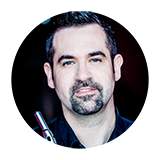 As the intervals are getting bigger, increase your air speed and make sure you move your lips to the positions of the high notes and not less important, go back with the lips for the position of the lower note after playing the high note. The exercise should not be played too quick, as you would like to give yourself the time to think and manage the changes, yet idyllically you should make it in one breath. After having played it smoothly in legato for a while, noticing your air pressure and lips changes through the registers and making sure your tone is equal through all the notes (tone quality and dynamic), add the tonguing on top of it, as originally in the excerpt. Make sure when you add the tonguing, to keep playing as you have just played it so far, with the legato. I have created for you a PDF with the full exercise in all tonalities. You can download it for FREE and use freely yourself and with your students. You are very welcome to leave your comments and questions. Simply print and immediately play!